TripAdvisor has over 340 million unique monthly visitors and over 200 million reviews in 45 countries; they contemplated some five million establishments, among them, four hotels from the Riviera Nayarit. TripAdvisor published their 2016 Travellers’ Choice, a list of the best hotels in Mexico and the world according to their readers—and the Riviera Nayarit’s hotels stood out for their popularity, luxury and excellent service. 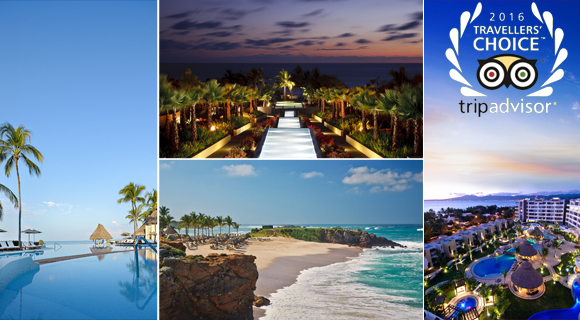 The Four Seasons Resort Punta Mita, The St. Regis Punta Mita Resort, Grand Velas Riviera Nayarit and Marival Residences Luxury Resort were chosen to receive the top honors bestowed by TripAdvisor, who took into consideration millions of comments from their readers.